In tailoring treatment to patients with early-stage hormone receptor (HR)–positive, HER2-negative breast cancer—be it through escalated or de-escalated approaches—the key factors to consider are the patient’s risk for recurrence, how well they’re tolerating the medication, and tumor biology, said Ruta D. Rao, MD. After completing 5 years of adjuvant endocrine therapy, the data are inconclusive as to whether a patient should continue on treatment or stop therapy altogether. In both the ATLAS and aTTOm trials, patients who were randomized to receive an additional 5 years of tamoxifen experienced an absolute benefit in disease-free survival (DFS) versus placebo. Conversely, more recent data from the IDEAL trial showed no DFS benefit in patients who were randomized to receive an additional 2.5 or 5 years of letrozole. However, a subgroup analysis suggested a benefit among women with node-positive disease who completed 5 years of letrozole. The benefit of extending therapy has to be considered alongside the adverse events (AEs) that are associated with endocrine therapy, added Rao. Among the aromatase inhibitors (AIs), those AEs include a higher fracture rate. Beyond treatment escalation, recurrence risk and genomic classifiers are also proving useful in guiding de-escalated treatment, said Rao. As reported in the MINDACT and TAILORx trials, women categorized as low-risk according to the MammaPrint 70-gene assay and those with an Oncotype DX recurrence score of 0 to 10 and 11 to 25 can most likely receive endocrine therapy alone versus in combination with chemotherapy. 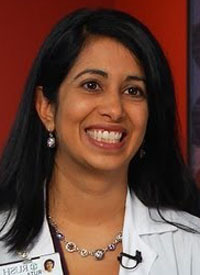 In an interview during the 2019 OncLive® State of the Science Summit™ on Breast Cancer, Rao, an associate professor at Rush University Medical Center, highlighted the importance of determining risk for recurrence and its impact on conversations about extended adjuvant endocrine therapy and the use of chemotherapy in patients with early-stage HR-positive, HER2-negative breast cancer. OncLive: What studies have informed what is known about the optimal duration of endocrine therapy? Rao: There are several studies that have informed our knowledge to date. Overall, what we're seeing is that 10 years of endocrine therapy may be superior to 5 years. We have a lot of different options of how to give endocrine therapy, whether it should be 10 years of tamoxifen, 5 years of tamoxifen followed by 5 years of an AI, or other combinations of the 2 therapies.